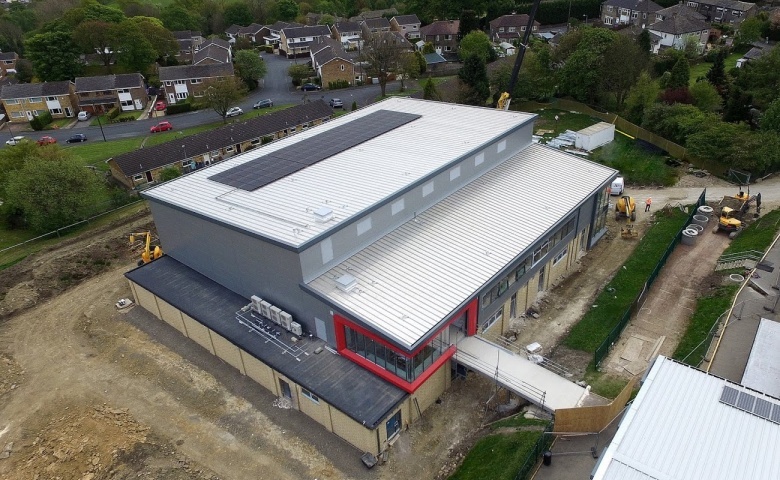 To celebrate the completion of 2 years’ of building work projects and the school’s new Sports Hall, we will be holding a Grand Opening on Friday 14th July 2017. Students, past and present, staff, governors, parents, businesses, residents of the local community, dignitaries and sports professionals will be helping us celebrate. So please do come and join us! After the official opening, visitors will have the chance to tour the new developments within the school and participate in fun sports activities including “It’s a Knockout”. There will be a selection of locally sourced food and drinks in our Food & Drink Village on the Lower Field in order to keep energy levels high. There will also be a Craft Village and live music from current and former students. Members of the Halifax Rugby Team will be there. You can try your hand at 'Running the Gauntlet' with them! The official opening of the Sports Hall will take place at 3.45pm where paralympic twice Gold medallist and three times World Champion in Archery, Danielle Brown MBE, will perform the cutting of the ribbon. The afternoon promises to be fun for all and is certainly not one to be missed. Please put the date in your diary register through the following link to Eventbrite for your free tickets(s) and then join NHGS on Friday 14th July to celebrate this exciting new development. Watch out for updates about the event on our Facebook page. To download a Team Registration Form to take part in 'It's a Knockout', please click here. To register attendance at the Business Luncheon on Friday 14th July, please click here.